Producer Emma Buzo together with Laurence Coy and Craig Meneaud had a blast with Deb Cameron on 702 ABC Sydney on June 3rd in preparation for the next chapter in the illustrious career of ‘Norm and Ahmed’. Listen to the interview featuring a live excerpt of the play. 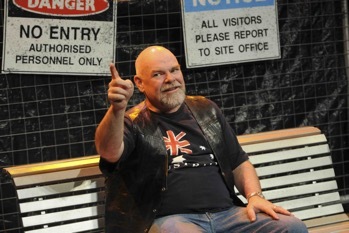 Never underestimate the power of difference is the powerful premise behind this watershed Australian play about cultural and generational tension. 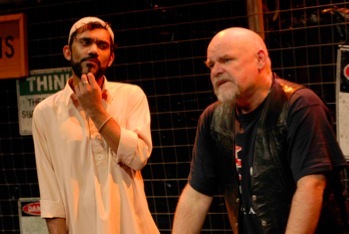 This critically acclaimed production refreshes Buzo’s sharp, witty, tension-fuelled dialogue between a young, articulate Pakistani uni student and a middle aged Aussie bloke for a contemporary audience. 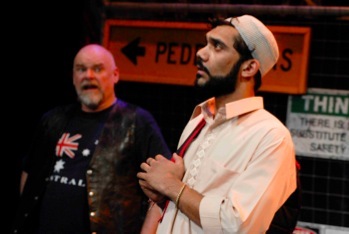 Norm and Ahmed’s sensational 1968 premiere quite literally put Australian theatre on the front page for the first time and the infamous nation-wide censorship battle that ensued is a far cry from its brand new listing as a NSW HSC Drama text in 2010. 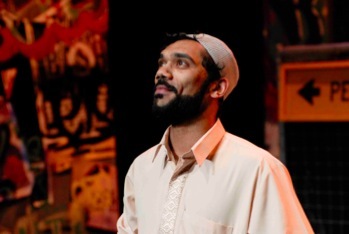 The performance will be followed by a Q&A session specifically designed to enhance the students’ understanding of the play’s social and cultural context, plus the techniques used by Buzo and the inspiration behind the play.